OFFER NOW FINISHED. HANG FIRE FOR MORE EXCITING DEALS! 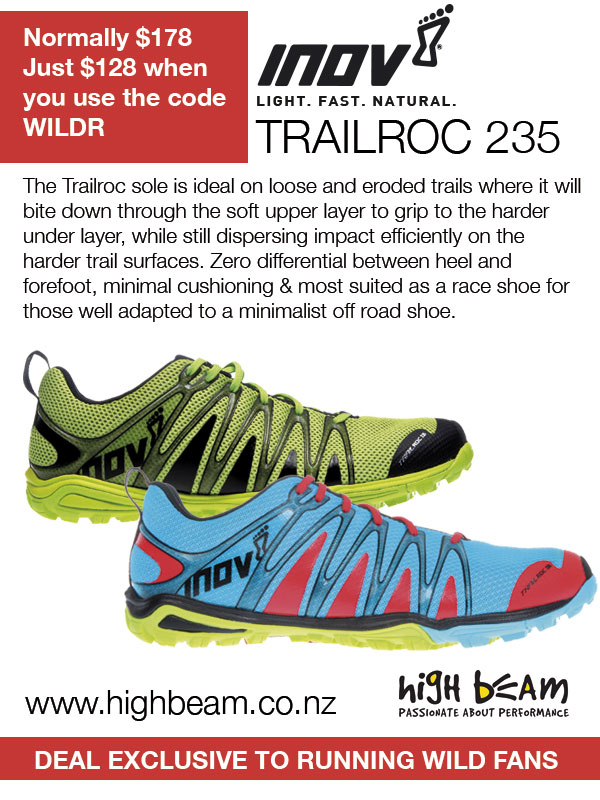 At Running Wild we love our Inov-8 trail shoes and with the summer event season upon us we have landed an EXCLUSIVE DEAL on the wicked Trailroc 235 minimalist racing shoe. Get a whacking $50 off these super-light, super-grippy shoes when you use the code WILDR. Check it out by clicking here.